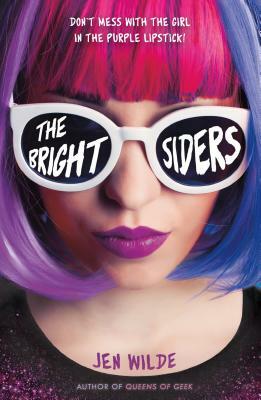 A teen rockstar has to navigate family, love, coming out, and life in the spotlight after being labeled the latest celebrity trainwreck in Jen Wilde's quirky and utterly relatable novel. Jen Wilde is a writer, geek and fangirl with a penchant for coffee, books and pugs. She writes YA stories about zombies (AS THEY RISE), witches (ECHO OF THE WITCH), fangirls (QUEENS OF GEEK), and rockstars (THE BRIGHTSIDERS). Her debut series reached over three million reads online and became an Amazon bestseller. Born and raised in Australia, she splits her time between Melbourne and New York. When she’s not writing, Jen loves binge-watching her favorite shows on Netflix, eating pizza, traveling to far away places and going to conventions in Marty McFly cosplay.